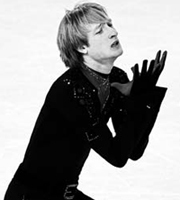 EVGENI CANCELS PARTICIPATION ON "JAPAN OPEN" DUE INJURY! Продолжаю проходить курс реабилитации в клинике! Но не расстраивайтесь, я скоро буду с ВАМИ!!! I continue rehabilitation in the hospital! But do not worry, I'll soon be with YOU!!! All very much love and miss you!!!!!! dustman wrote: Yana said that Plushy go to Japan again! 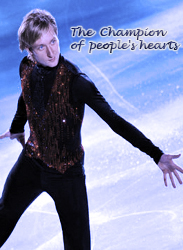 He will skate at Japan Open and Carnival On Ice!! yanarudkovskaya @Meipunyaa Japain Open and Carnaval also! You was faster than me .... Liza on Gala? Great! P.S. I believe to Yana and japanese organizers but still - all this is unofficially! cekoni wrote: P.S. I believe to Yana and japanese organizers but still - all this is unofficially! JO has just announced this information on their site formally, only a few minutes ago. So now this is confirmed information! WHERE did Plushy confirmed it? There is Plushy a little.